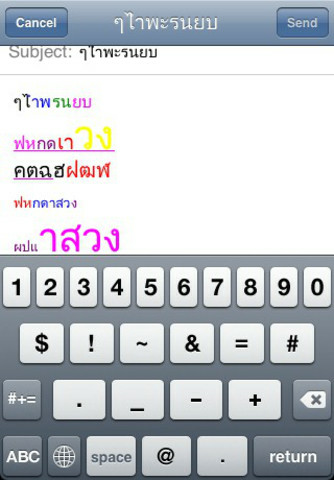 Finally you can write unique emails in "Thai". In the past you were only able to send email in plain black and white, one size and one font only. Now thanks to this application that all has changed. Images speak louder than words, please check our application preview images. -Currently there is only 1 font available.